The SU800 SSDs are available in four capacity options ranging from 128 GB, 256 GB, 512 GB and 1 TB. 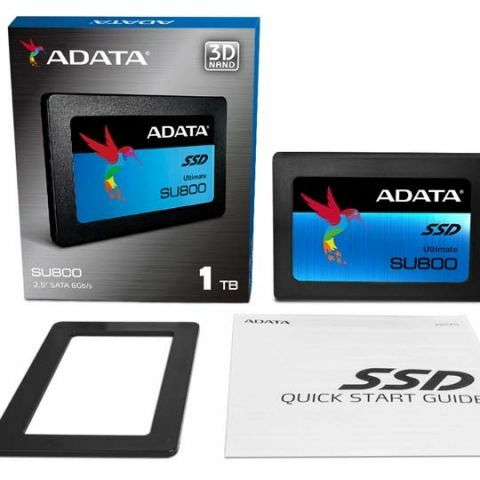 ADATA's new SU800 is the first SSD based on the 3D NAND-type TLC that will be available in four models ranging from 128 GB, 256 GB, 512 GB and up to 1 TB. The drive follows a 2.5-inch form factor and a SATA 6 Gb/s interface along with a SMI controller. According to ADATA, the SSD is capable to achieve a maximum read speeds of up to 560 MB/s and write speeds of 520 MB/s, that could only be confirmed after performance tests. ADATA assures a MTBF of 2 million hours along with a 3 year warranty. The pricing and availibilty details are awaited. Taipei, Taiwan – August 25, 2016 – ADATA® Technology, a leading manufacturer of high performance DRAM modules and NAND Flash products, today launched the Ultimate SU800 SATA 6Gb/s 3D NAND solid state drive, part of a complete range of SSD offerings that utilize advanced 3D NAND Flash. At the forefront of SSD innovation and development, ADATA has committed to transitioning to 3D NAND across its entire SSD portfolio, from mainstream consumer offerings to hardened industrial application models designed for the harshest environments. The Ultimate SU800 is a mid-range model that makes the most of 3D NAND, or stacked Flash, representing a considerable upgrade for existing 2D NAND SSD users and a massive step up for HDD users. With its incorporation of floating gate cell NAND and a high quality SMI controller, the Ultimate SU800 arrives in diverse capacities – 128GB to 1TB. It embodies the 3D NAND generation with higher density, improved performance, and increased reliability when compared to 2D or planar NAND Flash SSDs. 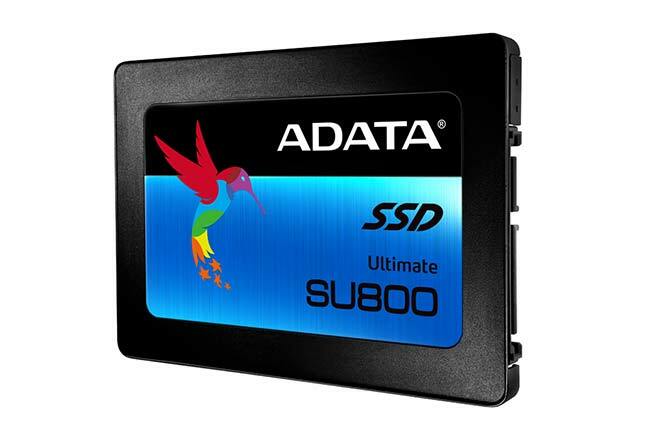 ADATA plans to expand the Ultimate series of solid state drives with higher-end SU900 by September. With multi-layered 3D NAND Flash, the Ultimate SU800 packs exponentially greater storage density into the same 2.5” form factor of current SSDs. It therefore ships in 128GB to 1TB capacities, offering customers more choice. Whether as an OS boot drive or a mass storage location, the Ultimate SU800 has diverse needs covered. The increased storage density also makes 3D NAND Flash SSDs more energy efficient than 2D NAND Flash drives, as while density grows power draw remains identical. This is even more notable when comparing the Ultimate SU800 to 2.5” internal hard drives: power savings reach 80%, especially with DEVSLP (device sleep) low power mode support. The Ultimate SU800 is an easy fit in ultrabooks, notebooks, and desktops, measuring 7mm thin and bundled with a 2.5mm spacer. Its power-saving operation helps extend mobile PC battery life even more so than current SSDs. The Ultimate SU800 provides users with the benefit of more consistent performance across different capacities, another plus of 3D NAND technology. Driven by an SMI controller, read speeds reach 560MB/s and write speeds top out at 520MB/s, roughly a 10% increase over 2D NAND Flash models that use TLC chips. The Ultimate SU800 supports both SLC Caching and DRAM Cache Buffer to enable variable speed increases based on task load and available system resources. By virtue of its higher density, 3D NAND Flash offers greater redundancy and reliability compared to planar NAND Flash. The technology is able to withstand more read/write cycles, endowing the Ultimate SU800 with an impressive MTBF (mean time before failure) rating of 2,000,000 hours. That equals a 25% increase when put next to 2D NAND SSDs, which average 1,500,000 hours. ADATA has incorporated LDPC (low density parity check) error correcting code, data shaping, and even a RAID Engine in Ultimate SU800 firmware to ensure the best durability possible. Combined with meticulous ADATA component design, sorting, and testing, the Ultimate SU800 offers assured quality, backed by a 3-year warranty.